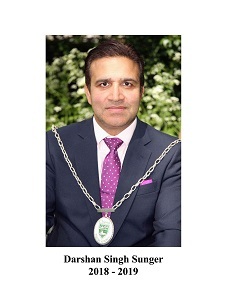 Darshan held the position as Deputy Chairman 2017-2018 and is currently Chairman of Chigwell Parish Council 2018 - 2019 and duly elected District Councillor for Chigwell Village. Darshan moved to Chigwell in 2010 with his family and has two sons, the eldest who is a successful University Graduate and his youngest who currently attends sixth form at West Hatch High School. Darshan is a qualified property professional, running his own property management agency from offices just off Manor Road. He is also currently Regional Representative of the Essex Region for ARLA PROPERTYMARK (Association of Residential Letting Agents). He is currently a serving member of Epping Forest District Council’s Communities Select Committee and DDMC (District Development Management Committee. Recently he was elected at Full Council on one of the key appointments for the District as the Chairman for Planning South Sub-Committee. He has been an active member of the CRA (Chigwell Residents Association) since 2010 and has taken a keen interest in the shaping of the Chigwell Neighbourhood Plan. His decision to serve on this and the Parish Council's Forward Plan Committee, allows him to ensure that the views of Chigwell residents are heard and taken into account at every level. 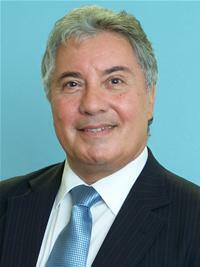 Richard Alvin became a councillor in 2008 covering the Grange Hill Ward. A resident of Chigwell since 1998, but having grown up locally he has known Chigwell for the majority of his life. Following the sale of two previous businesses Richard is the founder of a private equity company based in Canary Wharf which owns and invests in media and fashion companies and he is regarded as one of the UKs leading experts on small and medium sized business. 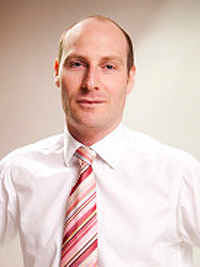 He is also an advisor on entrepreneurship to the Government and the Mayor of London and a small business ambassador. For the past six years Richard has been Chairman of Chigwell Parish Council’s Planning Committee and also the Forward Plan Committee plus he is now heading up the Council’s Neighbourhood Plan process. 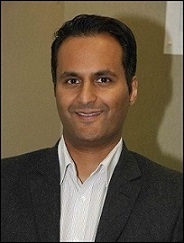 Kewal is an architect and a member of the Royal Institute of British Architects. He worked in Local Government as an architect for many years and now practices in the district. He has lived locally for 25 years. Married with four children who attended school locally. 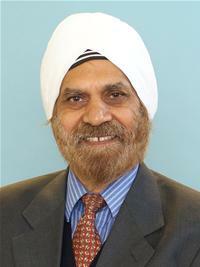 Kewal is a Parish as well as District Councillor for Grange Hill Ward, Parish Councillor for about 9 years and District Councillor for 8 years. He has a keen interest in the community and has worked actively in supporting the community projects such as the refurbishment of the Limes Farm Hall and extension and improvements to the cemetery buildings. Roger has lived in Chigwell Row for over 30 years, in which time he has spent approximately 25 years as a farmer in Chigwell Row, and a local business man running a large Insurance administration company. As retirement age grew closer Roger and his wife agreed to sell the farm, and his business interests. He then moved from the farm to a property in the centre of Chigwell Row, at the same time he was elected to stand as Parish Councillor for Chigwell Row. 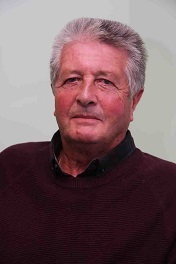 He has remained as Parish Councillor since 2006, and represented Chigwell Row on the Planning Committee, plus he currently sits on the Finance Committee. He personally take a strong interest in ensuring planning decisions are fair and correct, and takes the necessary steps to keep crime in Chigwell Row to a minimum. He finds by living in the heart of Chigwell Row it enables him to keep a hands on approach to various issues that occur, and as all residents and businesses are aware he is a very approachable Parish Councillor, in order to keep Chigwell Row one of the nicest places to live. 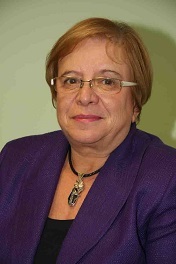 Rochelle first moved to Chigwell in 1964 when she attended West Hatch High School, after which she moved away to study and have a career with The John Lewis Partnership. After getting married she moved to South Woodford, returning to Chigwell to live in 1999. Since then she has been a fundraiser for The Anne Frank Trust, Saint Francis Hospice and is now the events co-ordinator for King George and Queens Hospitals charity. 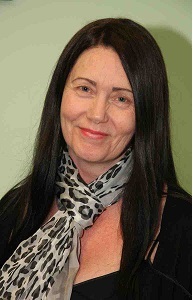 A firm believer in the NHS, she is committed to making our two local hospitals the best they can be. She is keen to preserve the unique village feel of Chigwell and to provide good access to transport for everyone. Alan has lived with his family in Chigwell for more than 17 years and spent over 36 years in the telecommunications industry, running computer training programmes for mature adults and working with and assisting small businesses. He now work part time in an art gallery and heritage site. 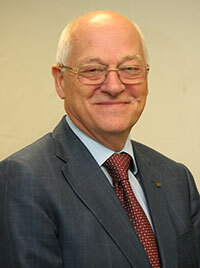 He was elected to Chigwell Parish Council in 2006 and to the District Council in 2009. In that time he has been active in the area, with specific interests in the redevelopment of the Community Centre at Limes Farm. He was particularly proud to be associated with Grange Hill and to see the new state of the art Limes Hall opened after over 7 years involvement. This was achieved working closely with the residents, the Parish Council and District Council. In the last few months he has been appointed as Epping Forest District Council Portfolio Holder for ICT and Support Services. He is keen to see that the people in Chigwell are able to go about their lives in safety with a clean to place to live and work, now and in the future. He wants to continue improving community life and to develop the amenities of the area, through partnership between the community and business. He would like to encourage young people to get involved in the local area and to participate in general community matters. 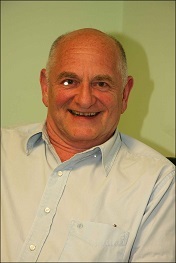 Brian is happily married with two daughters and a wonderful granddaughter and has lived in Chigwell for over 30 years. He was elected as a Councillor for Chigwell Parish Council on its inauguration in 1996. He has stood at every election as a candidate of The Chigwell Residents Association representing Chigwell Village. Brian has proudly been elected to the position of Chairman of Council on four occasions over the years and has been Chairman of the Environmental Committee since it was formed in 1997. This committee looks after the Gardens, Cemetery, Allotments and Play/Exercise areas of Chigwell and he is always looking for ways to improve life for the residents of Chigwell. He is also a member of the Finance and Performance Committee. Brian is also a Conservative District Councillor representing Chigwell Row and was elected Chairman of Epping Forest District Council in 2005/6. He has been Chairman of the District Development Control Committee since 2006 and also sits on the Planning Sub Committee which determines Planning Applications for the South of the District as well as being a member of various other District Council Committees. Barry was born in 1945 & spent a year in Lagos when aged 5. Then on return to England he was sent to prep school. He was educated at St Lawrence College Ramsgate & subquently qualified as a Chartered Surveyor. Having gained experience in Surveying firms he joined the family’s property business which had been started by his Grandfather. The company is now run by his son Toby, the 4th generation director. Barry has from childhood sailed and raced dinghies and yachts but now finds cruising more appealing. He became a liveryman of the Basketmakers Company in 2007. Locally he is a Trustee of the Grange Farm Trust, Chairman of the RSPCA local Branch committee and has served three times as President in his Rotary Clubs. He serves as a Parish Councillor and is membership Secretary of the 1805 Club which is concerned with Nelson and the Georgian Navy.